Hallux valgus (deformity of the big toe) can make you sick. 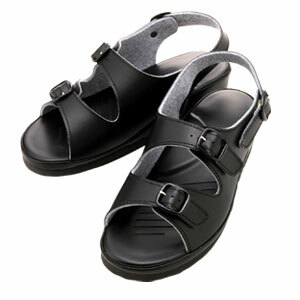 From young to old, hallux valgus is now a worldwide problem especially for civilized citizens. 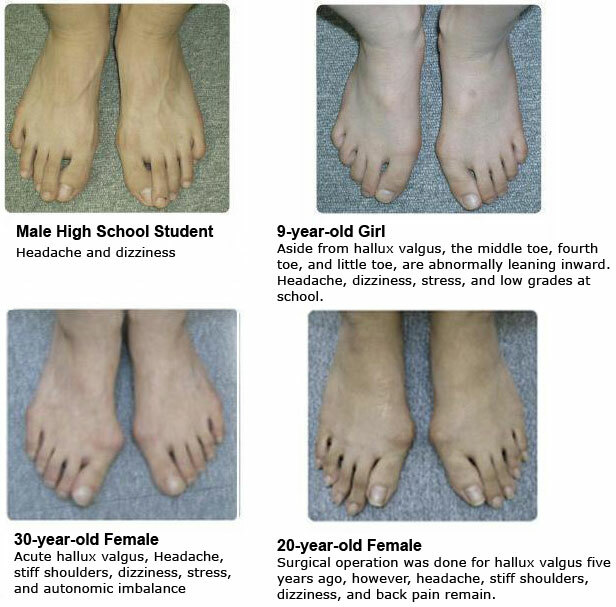 Millions of young women are suffering from hallux valgus in civilized modern world. Don't you think it is caused by the misleading fashion world? Avoid high-heel fashion shoes. They do not look beautiful at all! Women who suffer from deformed feet (hallux valgus) are also affected from various illnesses with poor brain functions, and receiving lower grades in school. 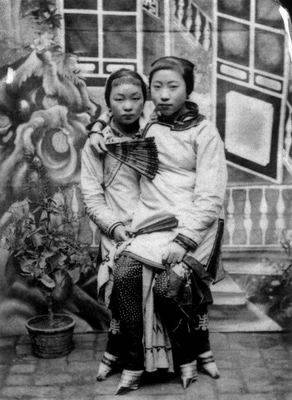 You may know that foot-binding was a tradition practiced in China, especially during 1068–1085. However, the same practice remained until 1930s among some well-to-do families. Our collected data show that their mental functions as well as their health were subnormal and many died young. 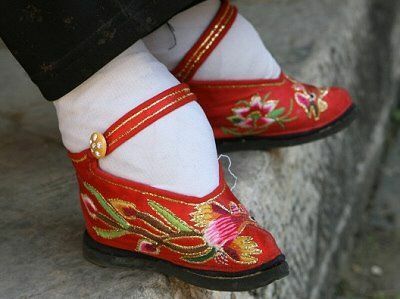 In Europe, though not as much as China, people were influenced to believe that big feet are for laborers among lower classes, and small feet or ballerina style of feet belong to high societies, especially in the 17th century. Many young girls and women among high societies suffered from deformed feet during the 17th to 18th century according to some historical records. 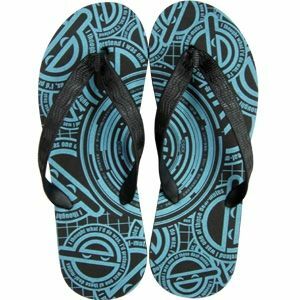 We recommend you to use beach sandals in the house, in the office, when you commute, and when you work, as often as possible. 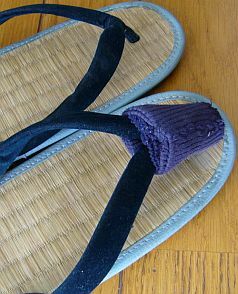 In fact, I use sandals with straps as you can see in the illustration below. This is one way to keep myself healthy. Do you want to see my feet? They are in best shape and look. There are several ways to correct the deformity of toes, and if you are young and your feet shows no deformity yet, then try to use sandals more often. 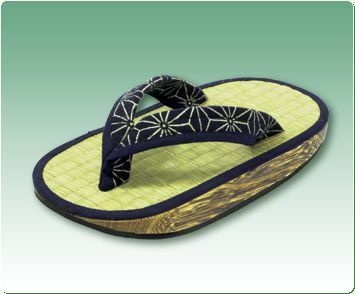 But, when they are just starting to deform, we recommend immediate use of sandals before it is too late. 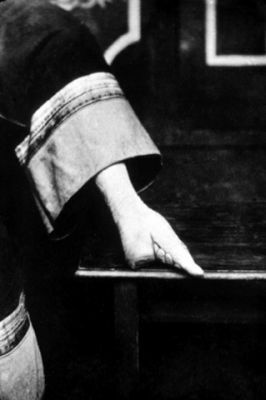 If your toes are completely deformed, consult your physician for the best remedy. Remember, hallux valgus may cause you great damage to your health and lifestyle.